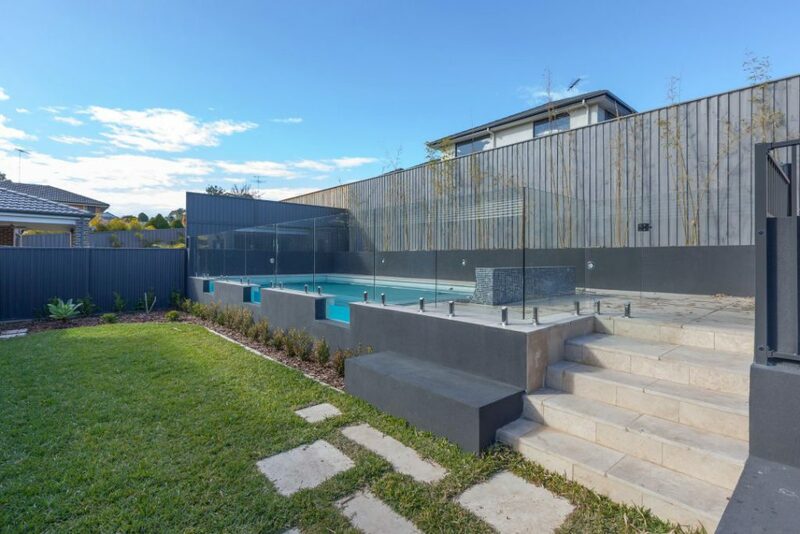 You don’t want your pool design to look out of place next to your house—there should be a logical connection in the plans of the two areas. One way to do this is to use the same, or similar materials for your pool surrounds as were used in the existing hardscaping around your house. You don’t need to find exact matches so long as you ensure that the colours and textures complement one another and don’t look disjointed. You’ll also want to make sure that you have enough decking area for your outdoor furniture, but not too much. You don’t need a large walking area all the way around the pool—consider tucking the seating area on one side so you can look across at the garden. Concerning your pool surrounds, think of your pool as a water feature and treat it as a focal point in the design. Think about how you see and hear the pool from indoors and the rest of the garden as well. Do you want to incorporate a waterfall into the pool design to add the relaxing sound of flowing water? As a significant water feature, a pool requires space for equipment for general operation and cleaning, so make sure to include in your design storage space to keep these items out of the way until needed. What activities will you do by the pool and what design elements are needed to suit those activities? Do you need storage for pool toys for the kids? Where will you hang wet clothes and towels? Do you plan to barbeque or make drinks poolside or are you happy going back and forth to your indoor kitchen? Will you use the space in winter and keep warm by a fire? Make sure you include space and the necessary facilities to accommodate your plans for the pool area. Think about what kind of natural environment you want to create around the pool—do you want an open, airy space, or a more private and cosy sanctuary? Do you have any existing shade of trees or other structures? What type of plants would you like to add to the surrounds and what kind of maintenance do they require? Working with a landscape designer or architect early in the pool design process is a great idea to ensure that there is enough space for plants to mature without impeding the seating or walking area around the pool.